Tiny homes come in all shapes and sizes, but not all of them have garages! 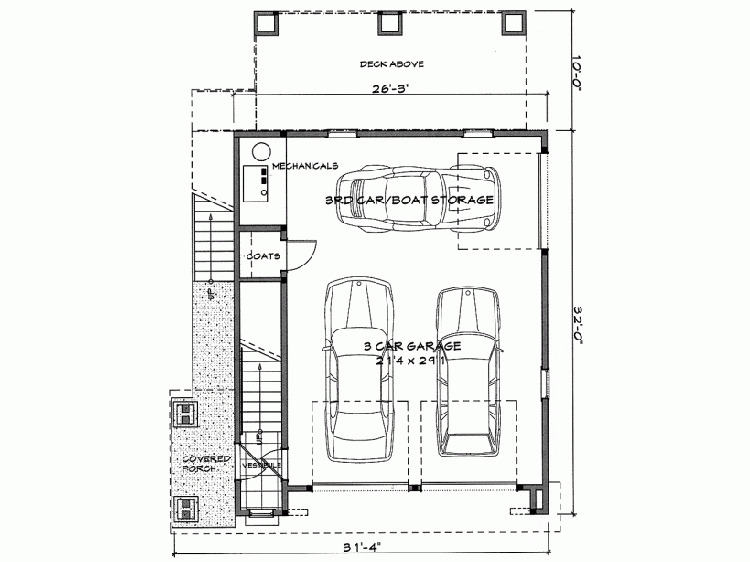 Having an indoor space to park your car might seem like a luxury, but garages are also great for storage and for working on projects that won't fit inside your tiny house. Even if you don't need a workspace to putter around in, attached garages are especially nice to have on cold or rainy days if you have a car. 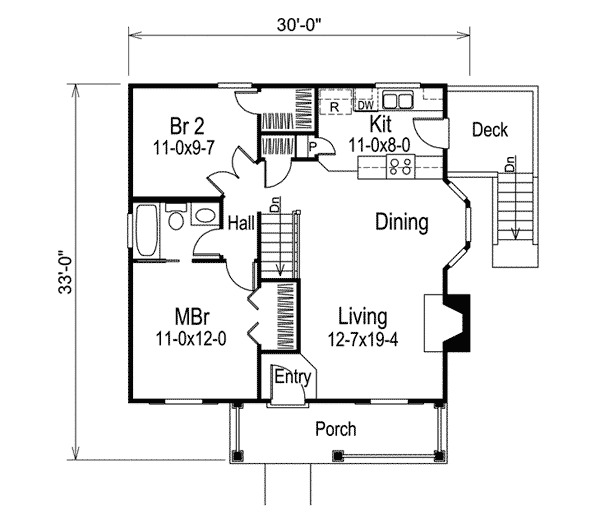 Browse through the plans below and find your favorite! 1. 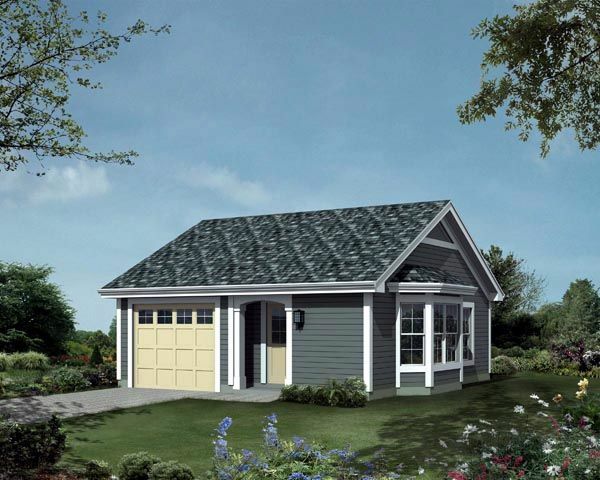 Open concept cottage from Architectural Designs. 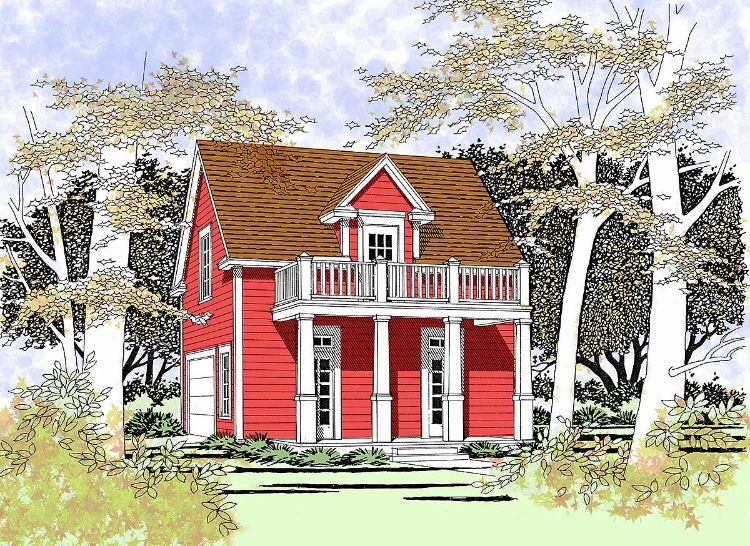 This lovely little cottage from Architectural Designs comes in at 914 square feet (85 square meters) and features a drive-under garage at the back. A door in the garage opens into a small laundry room, and from here a flight of stairs leads up into the main part of the home. 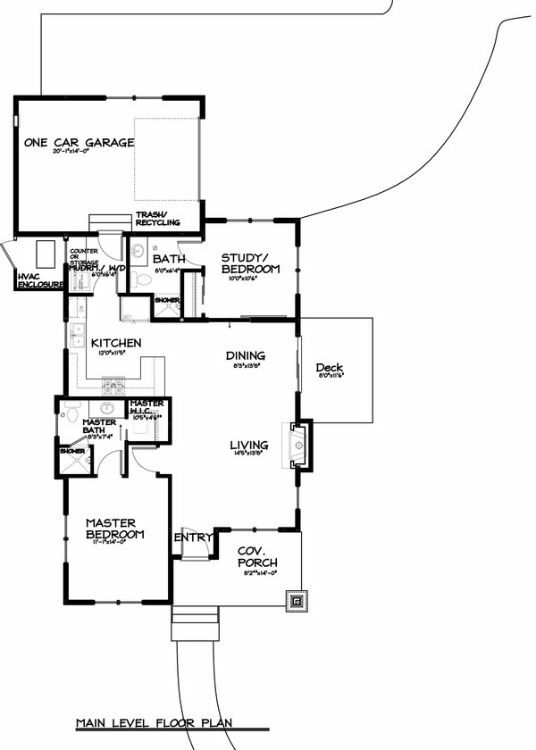 There is a staircase at the top of the stairs, and the open concept living/dining room is off to the right. The kitchen is located at the back of the home, and two bedrooms and a bathroom can be found on the left side of the home. 2. 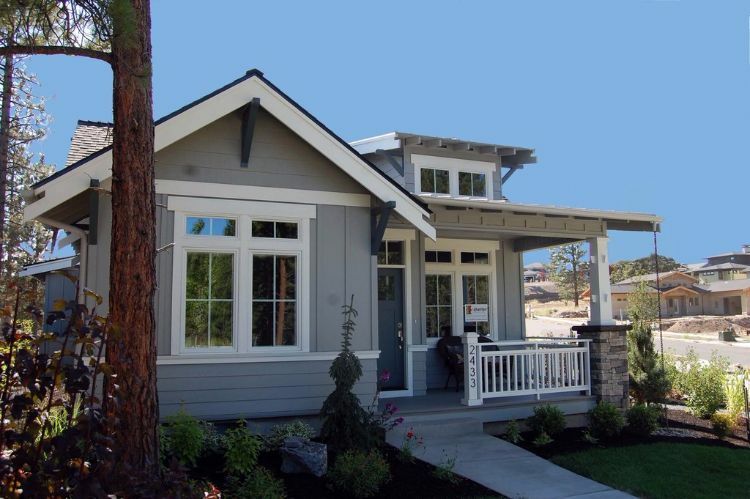 Craftsman charmer from Houseplans. 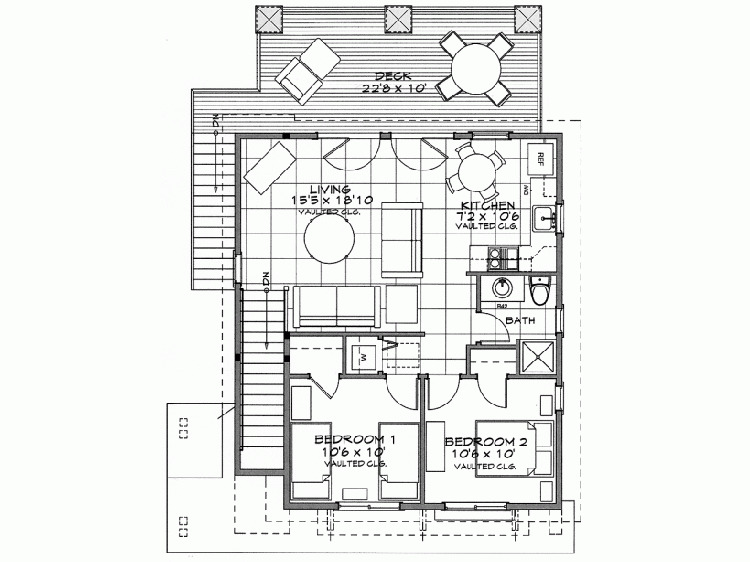 At 999 square feet (93 square meters), this design from Houseplans is relatively large for a tiny home. 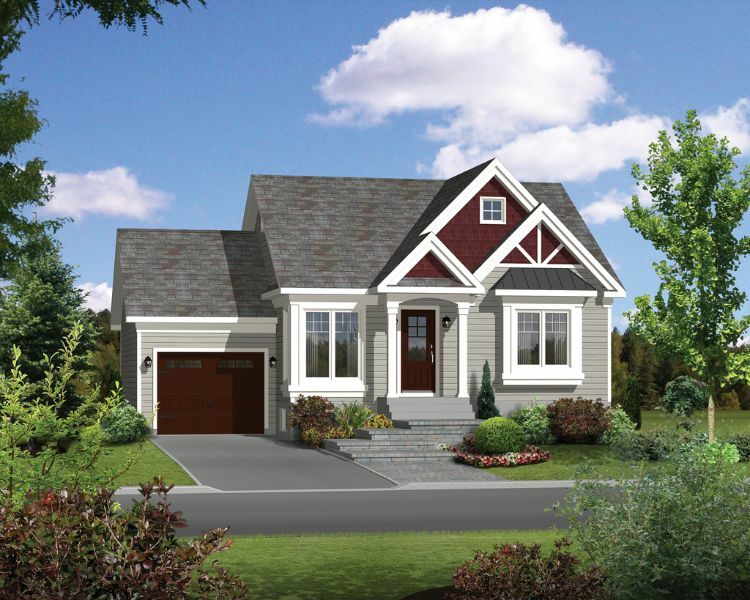 The front door opens into the open concept living and dining room, which features a fireplace and provides access to the deck on the right side of the home. Off to the left of the living room, the master suite includes a walk-in closet and an attached bathroom. The kitchen is located behind this bedroom and can be accessed via the dining room. A second bathroom and bedroom are found at the back of the home. 3. 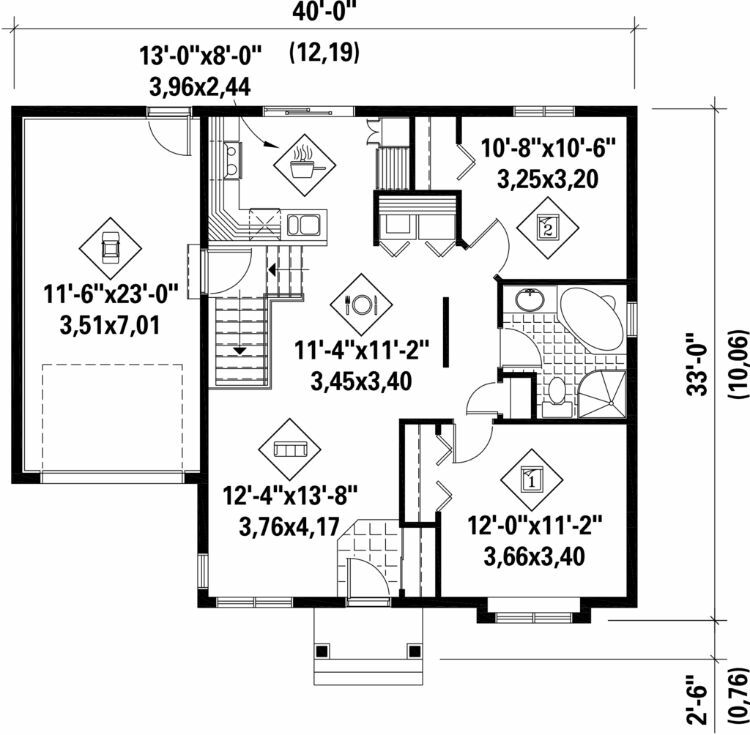 One bedroom rancher from Family Home Plans. This little rancher from Family Home Plans measures only 421 square feet (39 square meters), and boasts a compact square footprint that includes the one car garage. The front of the home is taken up by the living room and eat-in kitchen, which is illuminated by a large bay window. The kitchen facilities are found at the back of this room. The bedroom is located at the back of the home, and it provides access to a bathroom with a tub. 4. 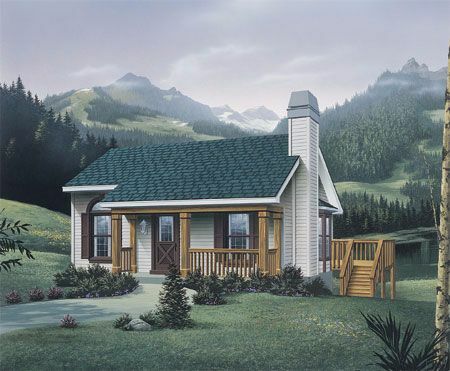 One bedroom chalet from ePlans. Located above a three car garage with a unique design, this home from ePlans measures 628 square feet (58 square meters). A staircase in the garage leads up into the home's living room, which is open to the eat-in kitchen on the right. Double doors open onto the spacious back deck. A small hallway in the kitchen leads to the front of the home, where there are a bathroom and two bedrooms with vaulted ceilings. 5. 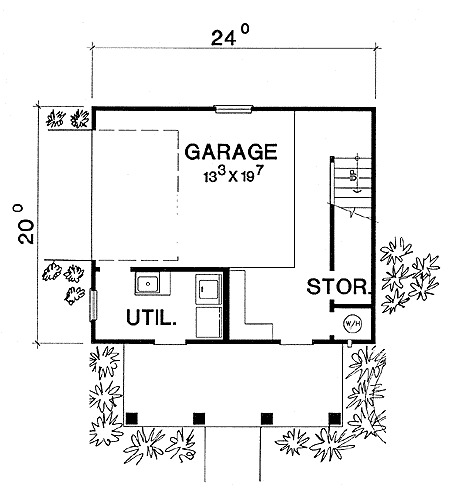 Cozy studio home with plenty of storage space from Architectural Designs. 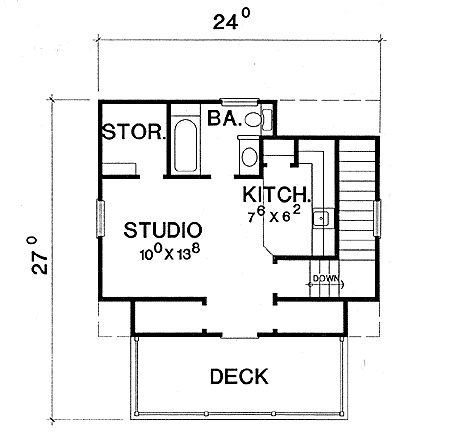 This studio floor plan from Architectural Designs comes in at 449 square feet (42 square meters) and features a large storage space under the stairs as well as one on the main floor. The utility closet and laundry machines are located down in the garage, and there is a built-in work surface here as well. Upstairs, the studio space includes a kitchen area on the right-hand side. The bathroom is located at the back of the home. 6. 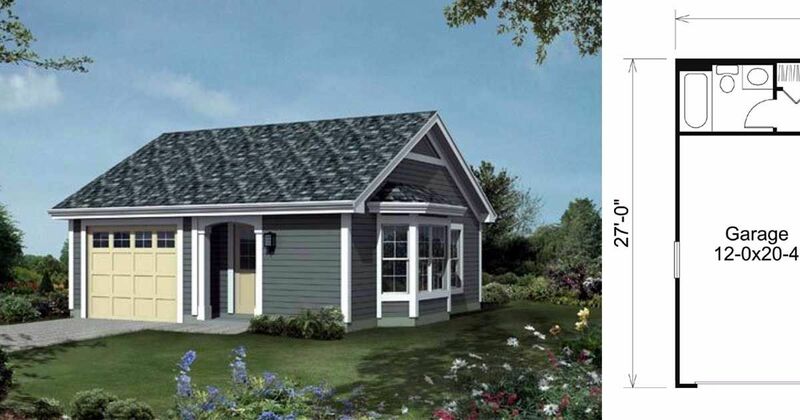 Traditional two bedroom bungalow from Houseplans. 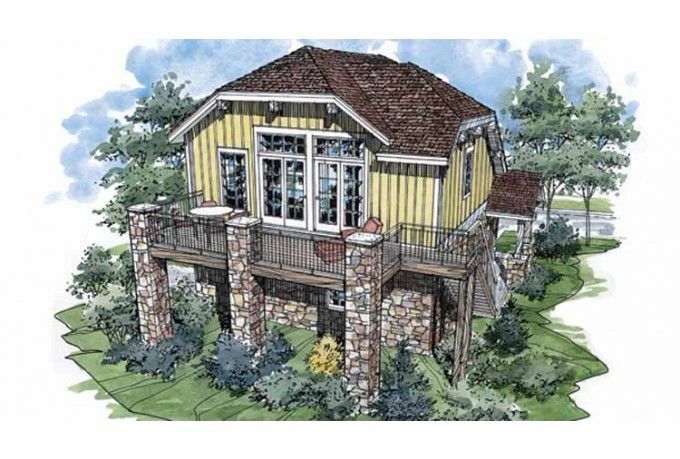 Coming in at 896 square feet (83 square meters), this design from Houseplans has a columned front entry and plenty of curb appeal. The front door opens onto a small tiled space, which is located in the living room. The dining room is found behind the living room, and the kitchen is located at the very back of the home. 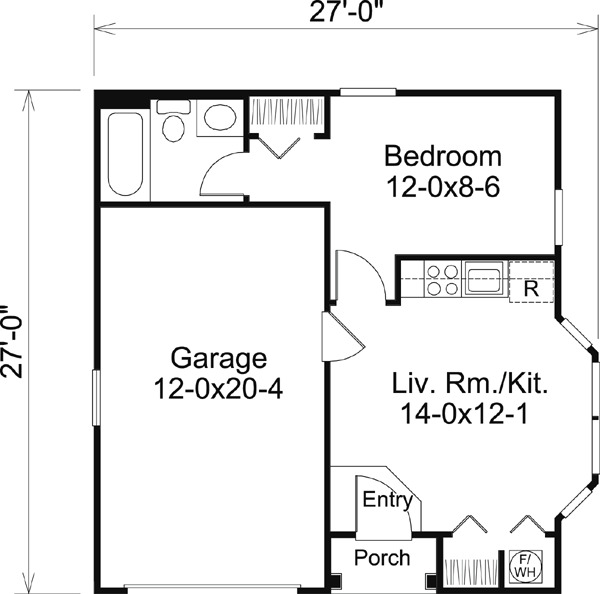 Two bedrooms and a bathroom take up the right-hand side of the home; the bathroom features both a tub and a shower.